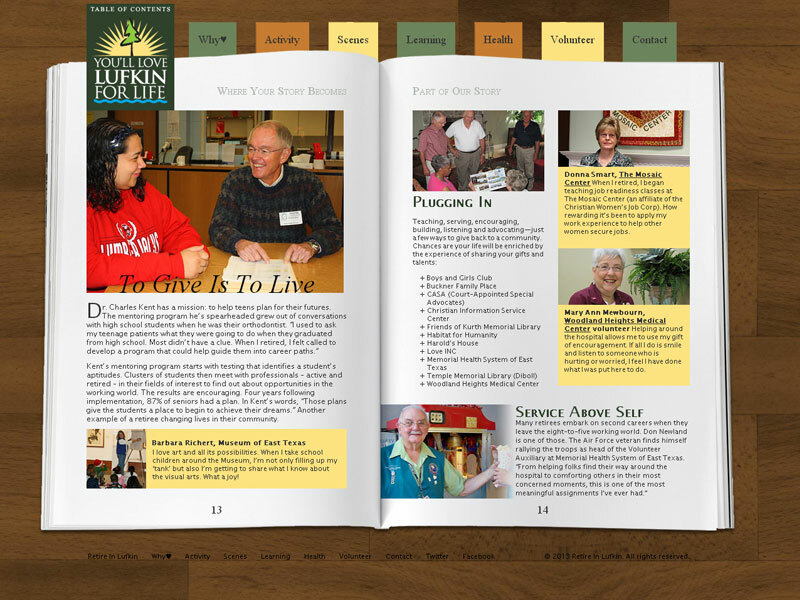 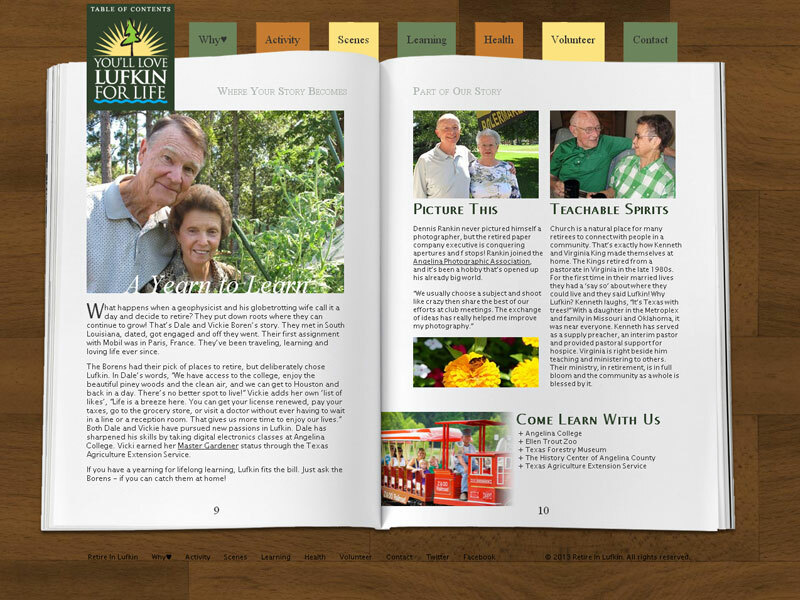 The Lufkin Chamber of Commerce contacted us to design a creative and innovative website that would attract retirees to the region. 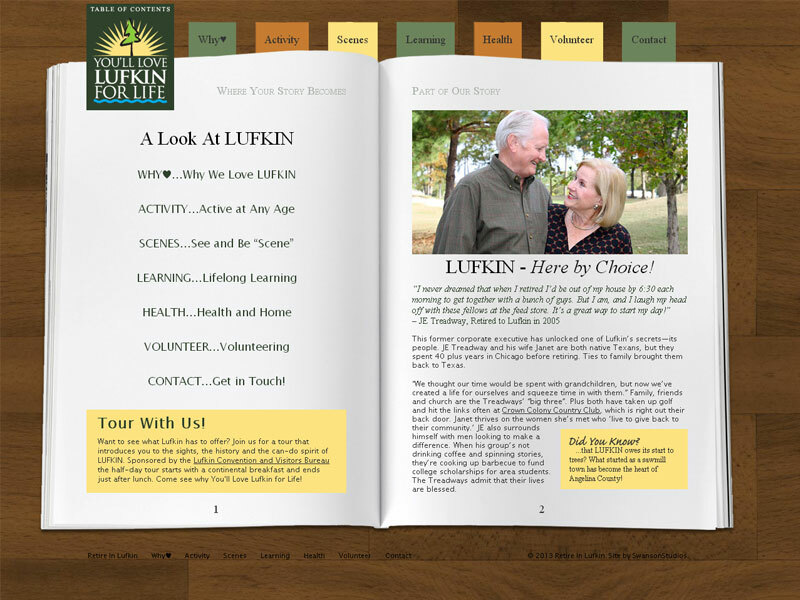 Working off their slogan "Where your story becomes part of our story," we designed a scrapbook styled website full of fun facts and interesting features from around the Lufkin area. 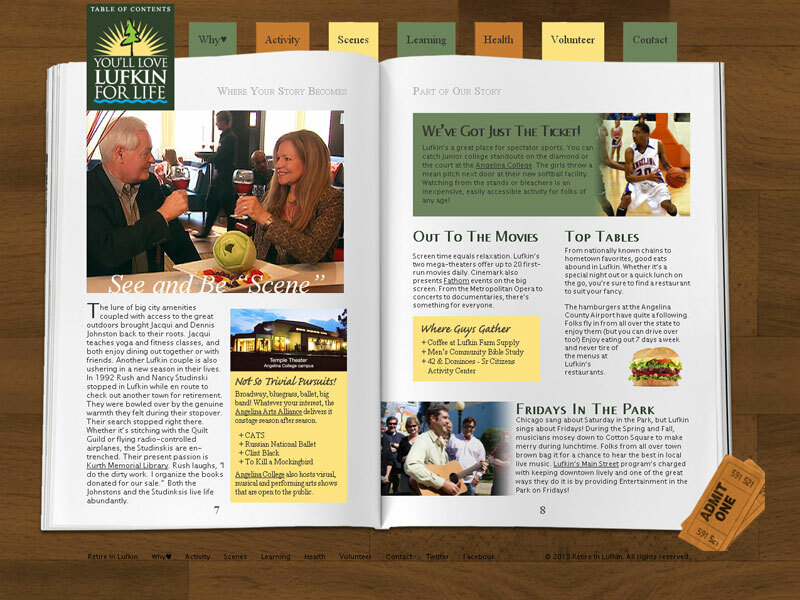 The site continues to be a unique attraction to the area.